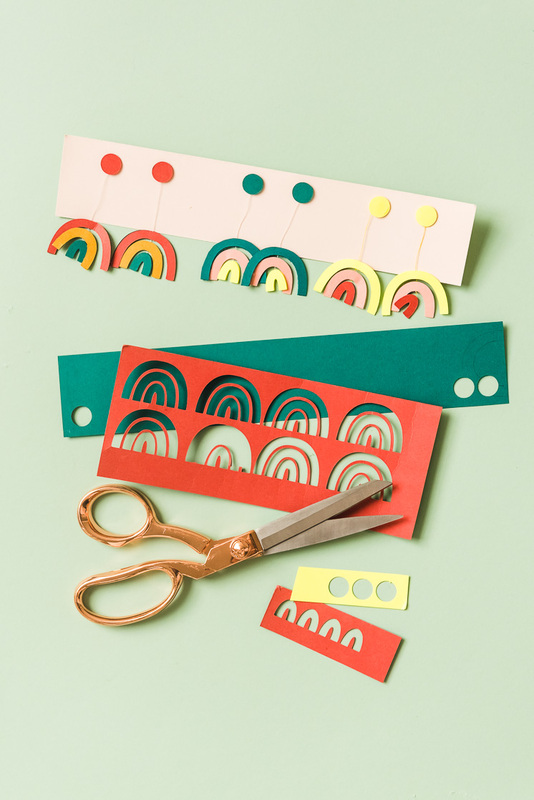 Cut out the templates in various shades of cardstock. You will need two of each size/color to make a single earring––four to make a pair of earrings. 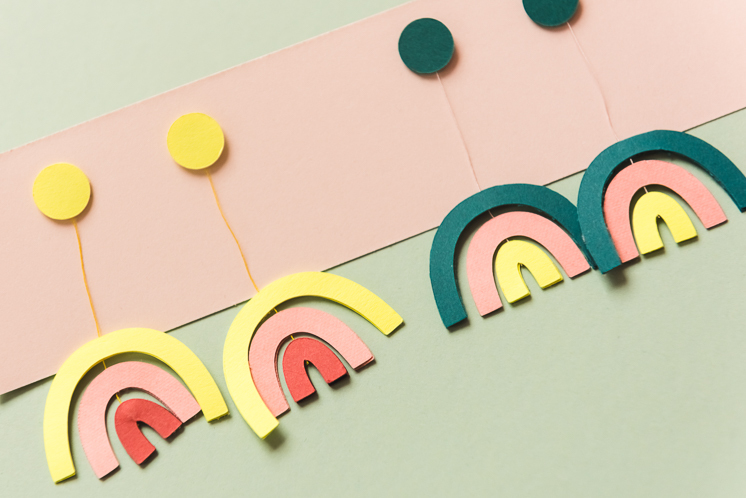 Lay out each of your semi-circles to create your rainbow pattern. Lay your string on top of the rainbow, running down the center. 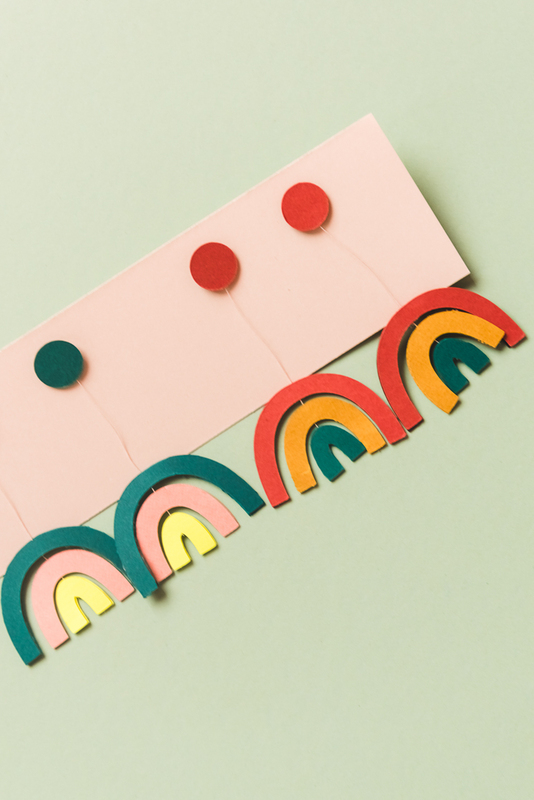 Place hot glue on top of all three of the cardstock semi-circles, with the string still on top, and place matching color and size cardstock semi-circles on top. 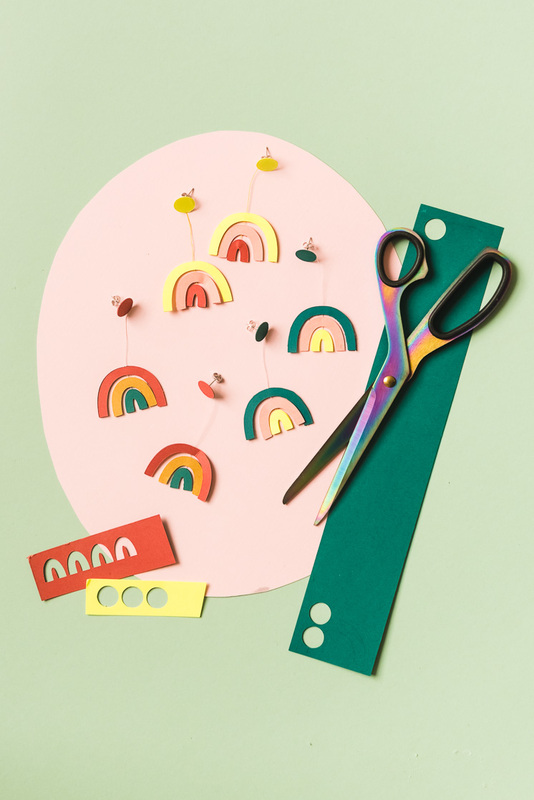 Your rainbow should now hang freely on the string. Cut the string to the desired length that you would like your earrings to hang. Glue the top of the string to the earring post, and glue a small cardstock circle on top. Be sure to make two identical earrings for each set, you’ve got two ears! If you make it, we’d love to see it! Take a picture and tag it with #LarsMakes!